A librarian in my district found the Paper Cranes for Japan project through Students Rebuild and spread the word, so I organized the efforts at my school. And it’s such a great project, the kids have jumped on the opportunity. 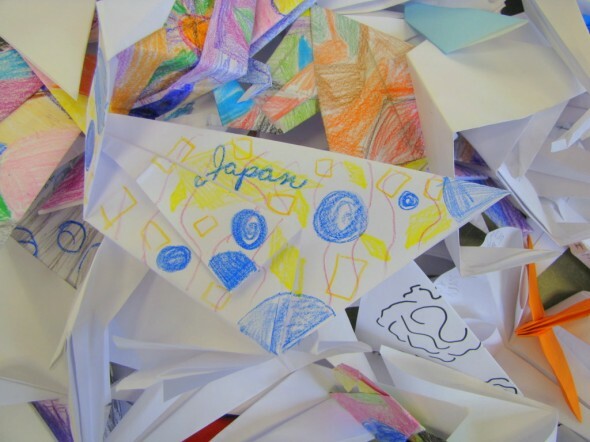 The Bezos Foundation is donating $2 for every origami crane made by students around the world, and Students Rebuild will have the cranes turned into an art installation for the children of Japan. The goal is 100,000 paper cranes (or a $200,000 donation from the Amazon.com founder). My kids made 626 cranes, which will be shipped off first thing Monday morning. So cool.